Cauliflower Mac & Cheese: Healthy Vegan Cheese Sauce Yum! So this was awesome!!! We are lucky that our kids eat a ton of veggies but this was still an awesome way to serve them! Everyone loved it! Enjoy this tasty and super healthy dish! 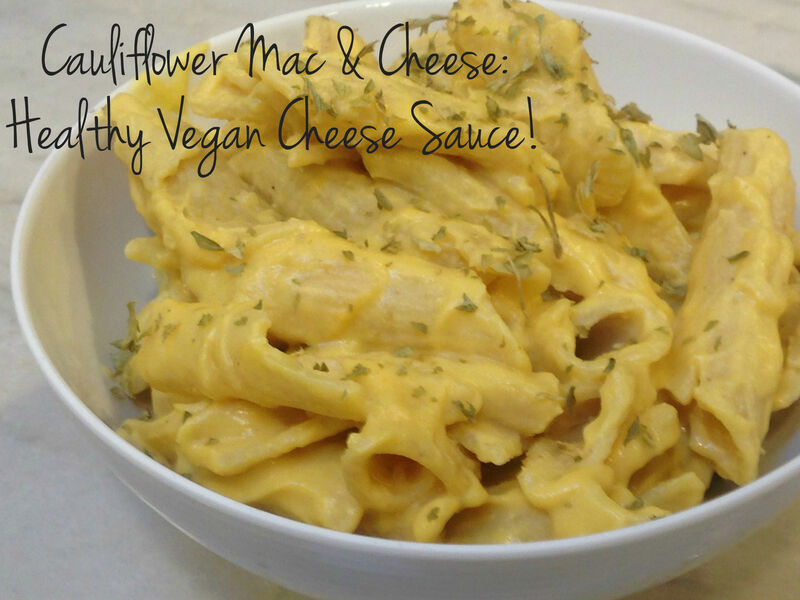 Cauliflower Mac & Cheese – Healthy Vegan Cheese Sauce Yum! Add cauliflower & carrots in a large pot and cover with water. Bring to a low boil. Once boiling, cook for another 8-9 minutes until super tender. Drain. At the same time boil water for pasta and cook as instructed by package. Drain when done. 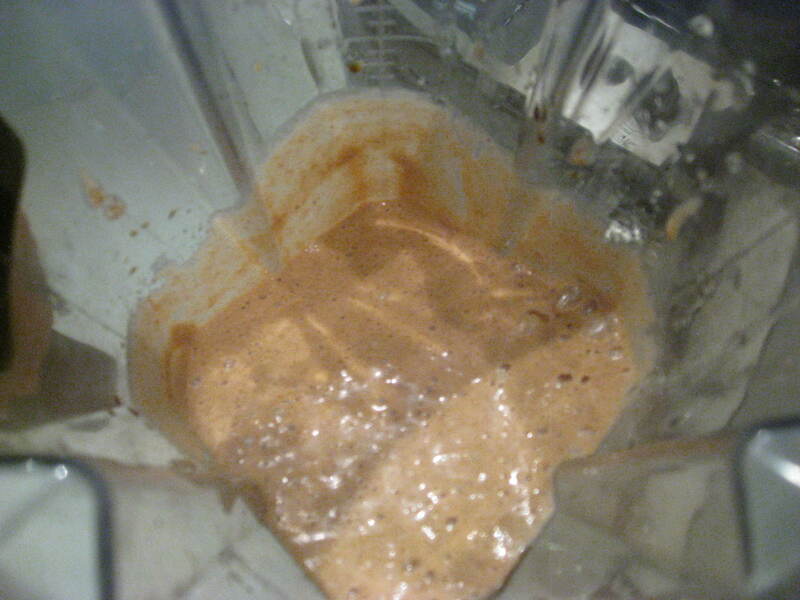 In a high-speed blender (we use a Vitamix) blend the cashews and a 1/4 cup of water for 30 seconds. Then add the cooked and drained cauliflower & carrots, nutritional yeast, lemon juice, onion powder, garlic powder, salt, and pepper. Blend until a super smooth. 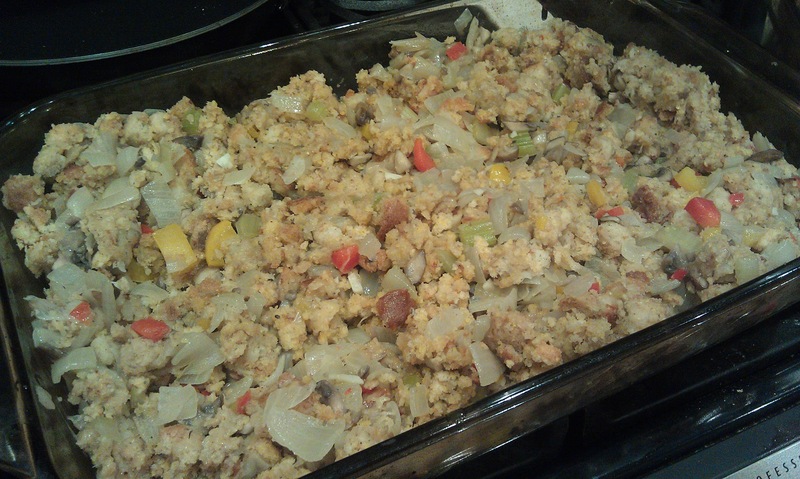 HUGE bowl of stuffing with glimpses of tofurkey, brussel sprouts and apples & squash. Happy Thanksgiving!! This Thanksgiving was a really great one! It has been quite the amazing year! I am so thankful for my life and what this last year has brought. Although I have taught just a few yoga classes, cooked just a few meals and had literally just brief moments alone with myself (things that I always valued and still do) I am brimming with happiness and joy! There are not words to express how much I love these two angels, being their mama, how much I love my husband and how much I love being present to him being the world’s greatest and most loving father! 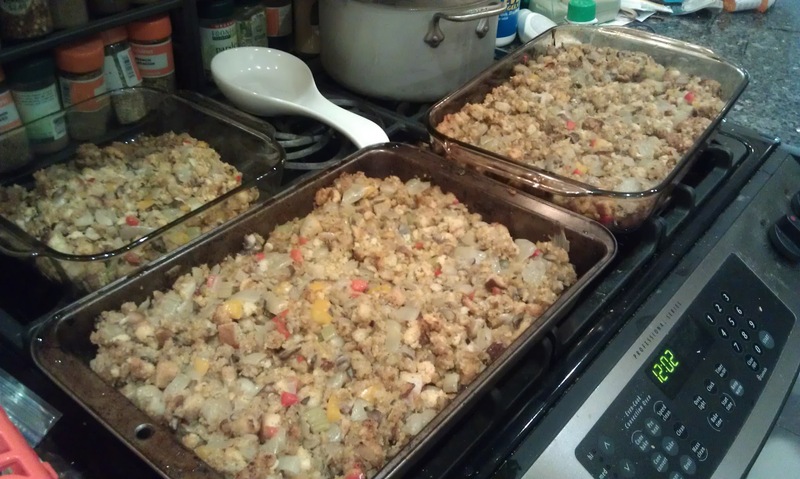 I made enough brussel sprouts and stuffing as if there were 3x as many people but believe me, the leftovers did not disappoint us 🙂 I made my go-to brussel sprouts recipe, with 3 pounds of brussels. The best thing (besides the stuffing of course!) is that this mixture can be prepared in advance and refrigerated or frozen until ready to use. It can also be used at a vegan/vegetarian side dish, a condiment or a bread spread. We have used it for spreads on sandwiches, a relish for vegan hot dogs, an easy tofu scramble recipe and in a pasta sauce so far this last week alone! 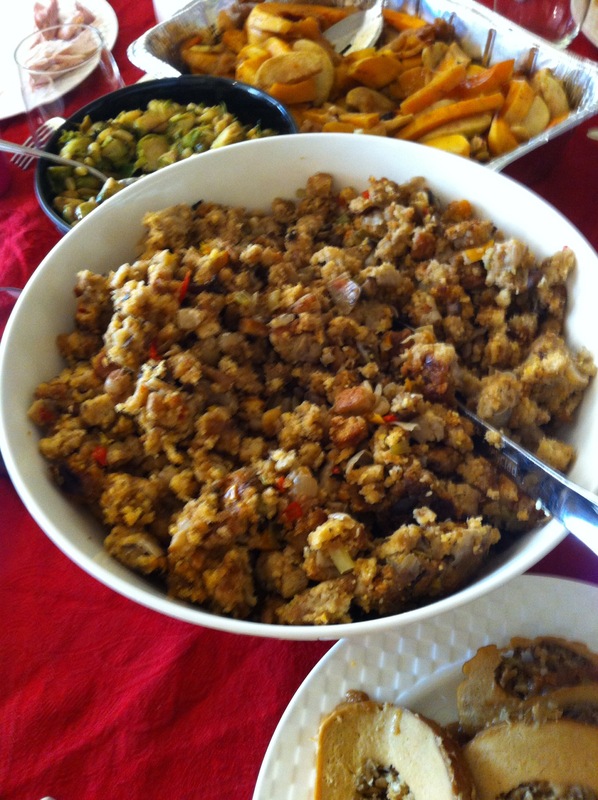 Also a great thanksgiving leftover idea (Inspired by the Thanksgiving sandwich as Terri’s): take a wrap, spread cranberry sauce all over, and add tofurkey and stuffing. ENJOY!! We loved these! 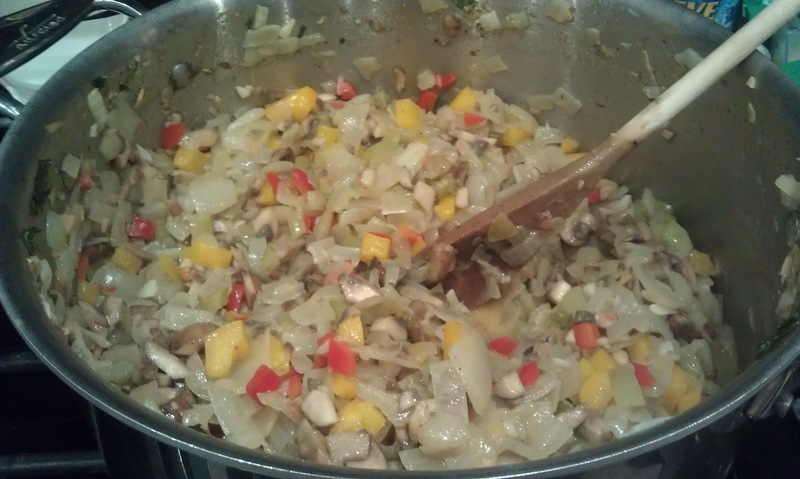 Saute onions until soft – about 15 minutes. Add celery and garlic and continue to cook another 15 minutes. Drain mixture into a large colander or strainer, reserving liquid. Pour liquid back into pot, add peppers and saute for about 5 minutes. Add onion mixture back into pot and cook for 2 minutes to blend flavors. I have used Blue Print Cleanse many times over the years and always love their juices. When the fabulous ladies behind the juice company came out with a cook book of course I had to check it out. So far this first one is a winner! 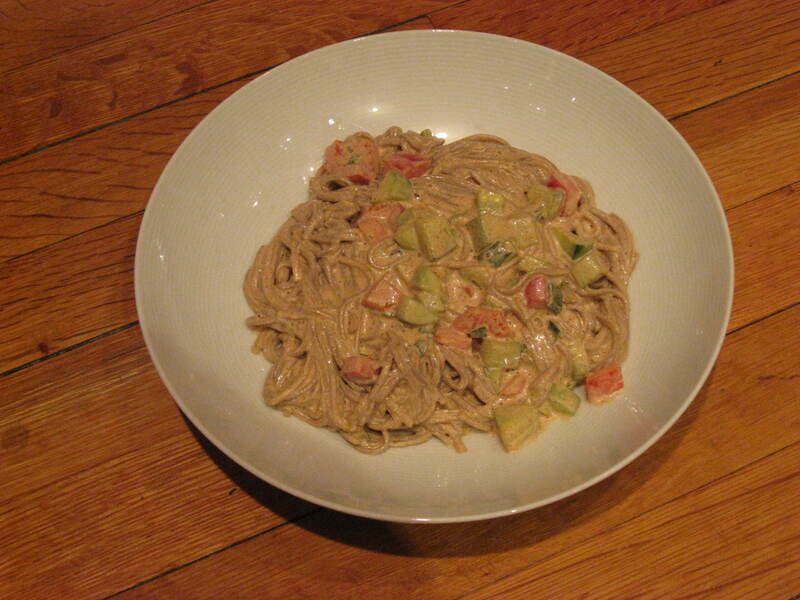 I love pasta, but of course I don’t want to eat plain, white pasta all the time (especially after doing this cleanse). 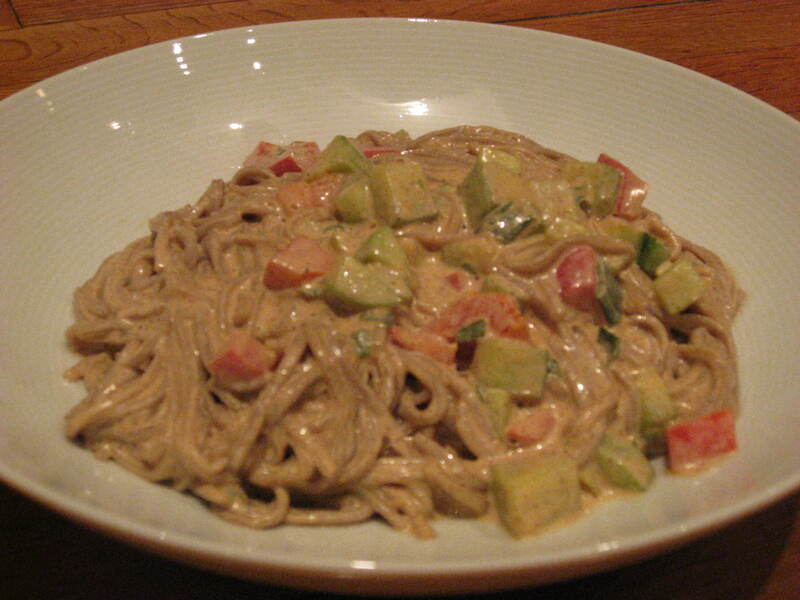 There are fabulous alternatives to traditional pasta – quinoa, rice, buckwheat (soba), etc. Soba is a deeeelish buckwheat noodle that cooks up super fast and tastes great with this sauce. This dish was great for dinner and just as good cold the next day for lunch. YUM! 1. Bring a saucepan of water to a boil and add the noodles. 2. Lower heat and simmer for 6-8 minutes until soba is tender, then remove from heat. 3. Strain noodles and rinse with cool water. Drain. 4. Place noodles in a bowl and add the cucumber, scallions and red bell pepper. Toss with spicy almond dressing. 5. Squeeze of lime before serving. Blend all ingredients in a high-speed blender until completely smooth.